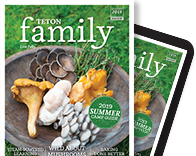 The do-it-yourself (DIY) spirit flourished in the Tetons long before self-sufficiency became an upscale urban trend. Geographic isolation and a challenging environment required the region’s earliest settlers to make do with materials on hand and a healthy dose of chutzpah. Today, modern residents maintain the tradition with hand-hewn log houses, backyard chicken coops, hardy vegetable gardens, and hunted game for dinner. 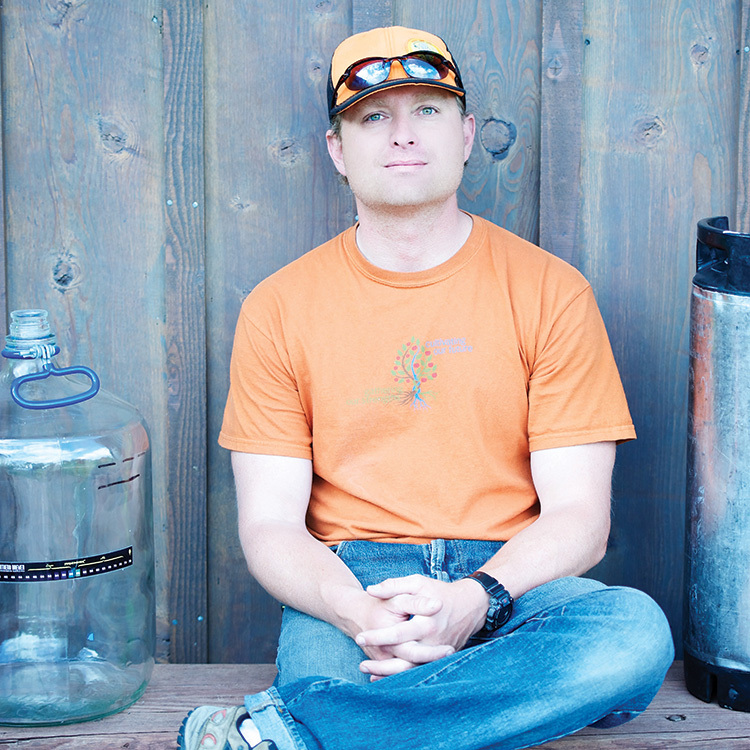 For Teton Valley, Idaho, local Dan Heine, that can-do attitude extends to beer brewing. He started about five years ago with a basic setup and beginner’s brewing book. 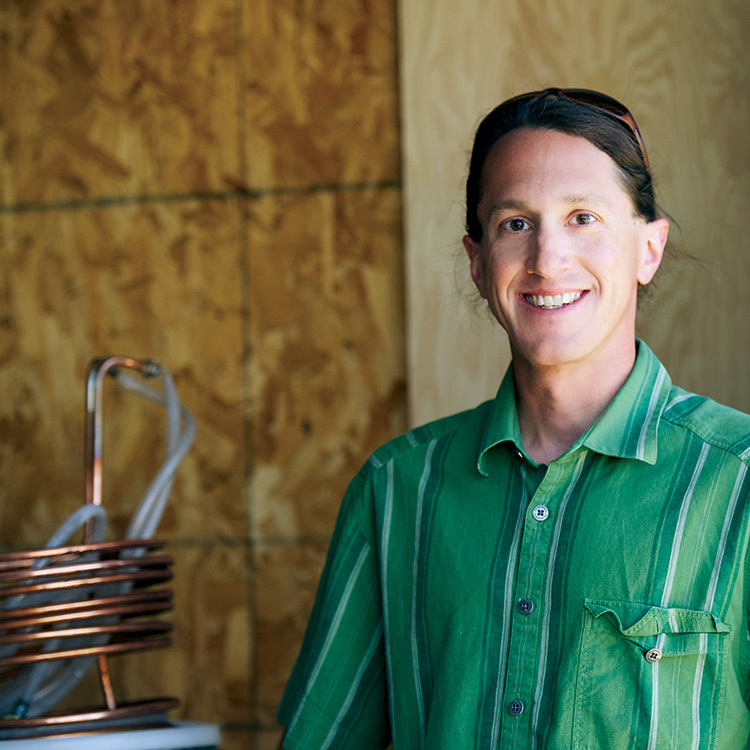 But with his many years of cheffing, he quickly moved beyond kit brewing, investing hundreds of dollars in sophisticated equipment, and built a custom kegerator from an old chest freezer. In addition to his standby pale ale, he typically keeps two or three other kegs tapped at all times, making his house a popular après-ski destination among friends. Heine enjoys commercial craft beers and appreciates the award-winning products coming out of the region’s several small breweries, but brewing at home allows him to produce exactly what he wants, while keeping the alcohol content lower than the traditional craft beers on the market. “I like to be able to enjoy it while I’m doing other things,” he explains. According to Heine, anyone with basic cooking skills and a clean kitchen can brew beer. It’s a straightforward process, he says, but it does require careful attention to detail, especially sanitation. Brewers also need patience. While some beers are ready for drinking within weeks, others must be aged or conditioned for six months or longer to achieve the desired result. Heine produces about twenty five-gallon kegs each year, keeping him in constant supply. Novice brewers can skip the mashing by using grain extracts, notes the website of the American Homebrewers Association. The extracts contribute pre-portioned flavor and style according to a pre-determined recipe. Online retailers sell brewing kits that contain ingredients and instructions for specific beer styles, such as double IPAs, imperial stouts, Bavarian hefeweizens, and red ales. Starter equipment packages, containing all of the specialized equipment, range in price from sixty to two hundred dollars. “It’s a good way to start,” Victor resident Johnny Ziem says, “to figure out how to do it and if you enjoy it.” He started brewing about four years ago with a kit his wife, Katie, gave him as a present. But like Heine, he found the possibilities irresistible and soon invested in more sophisticated equipment, including a three-tap kegerator he keeps by the washing machine. “It can be dangerous to have that in your house,” he cautions, joking that he does his best to ignore its presence during the week. He embarked on a self-study program of brewing science, following podcasts, talking to other brewers, reading books, and perusing brewing sites for information. He also started researching old-world recipes online, such as a 1,000-year-old German recipe with roasted coriander. For inspiration, Heine, too, looks to historical styles not widely available in this country. He’s done a chocolate stout and a variation with chocolate mint, using real cacao nibs for flavoring, and a Belgian-style ginger saison, which he describes as a refreshing, flavorful summer beer. 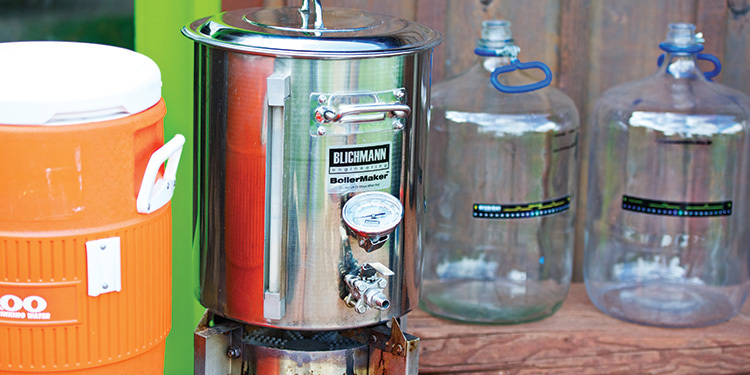 While a kit brew can come together in just a couple of hours, a brew day with mashing involved can last from three to eight hours, depending on the complexity of the recipe. Ziem’s six-year-old daughter, Sorayah, likes to get in on the action, helping her dad with everything from measuring ingredients to mixing in the grains to adding the hops. With his increasing knowledge and experience, Ziem experiments with grain combinations, yeast strains, and flavor enhancements. Right now, he’s testing a recipe that could end up on the menu at Jackson’s award-winning Melvin Brewing Company. Most commercial craft brewers start off at home, like Melvin brewer Kirk McHale. He made the leap from home brewing twenty years ago, before craft beers hit the mainstream psyche. While he doesn’t generally recommend it as a career track—“It’s a really fun job, but it’s really hard work, and you have to be dedicated”—he does think aspiring home brewers should skip the extracts and get straight into working with grains. “Pick a recipe or style you like, and do it over and over and over until you get it right,” he suggests. Though economics drives many DIY endeavors, neither Heine nor Ziem brew for any perceived or actual cost savings. Home brewers can start small, but brewing on the scale of Heine or Ziem requires a significant outlay of cash. The equipment investment, mail-ordered malted grains, hops and yeast, and the inevitable (though fortunately rare) “oops” can add up to an expensive hobby. His go-to sites include homebrewtalk.com, a forum he visits whenever he wants to pick another brewer’s brain; and Northern Brewer, a supply site with archived episodes of the now-defunct online channel Brewing TV. He also recommends the free podcasts from The Brewing Network. Get online, Shafer recommends. Then, once you get a feel for the process, start to brew. He enthusiastically recommends the Caribou Slobber extract kit from Northern Brewer for your first try. “It’s a great brown ale,” he says. If you’re hesitant to dive right in, look into home brewing clubs or “beer school” gatherings. Butch and Laura Harbaugh, owners of Rocky Mountain Homebrew Supply in Rigby, Idaho, organize comfortably informal, but highly informational, beer schools in Rigby and, occasionally, at Grand Teton Brewing Company in Victor. 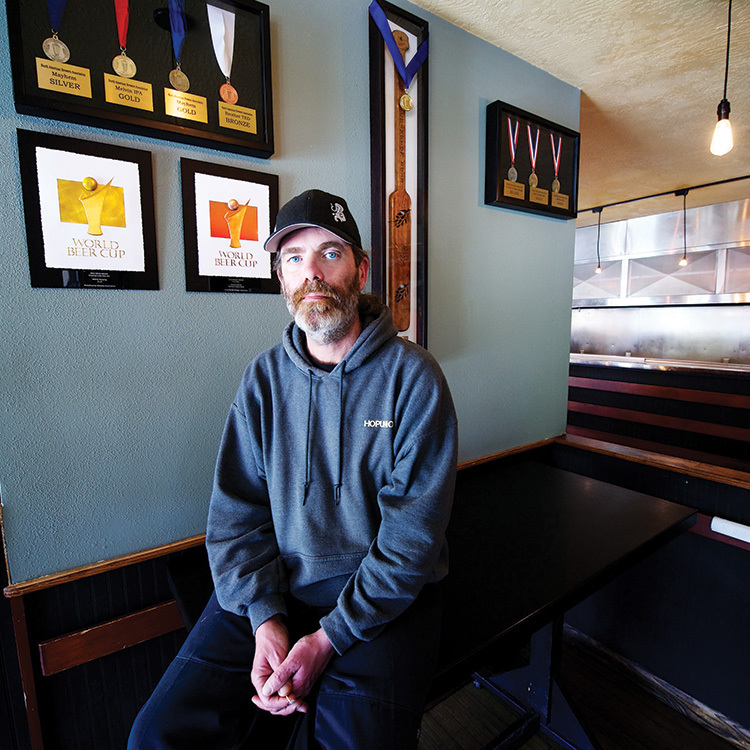 4 And, as with any homemade drink or food, “use fresh ingredients,” says Butch Harbaugh of Rocky Mountain Homebrew Supply. Previous Previous post: Mamasphere: It’s All About (Parenting) Style!